What a whirlwind we’ve had over the past six months! In August 2015, we got engaged and moved away from our island home in Roatan. We spent two months in Massachusetts with my family, followed by two months in Scotland with his parents. THEN we signed a lease for an apartment outside of Edinburgh. And THEN we got married in Edinburgh! Welcome to my life, where things happen now, not tomorrow. We met, we fell in love, we moved in together, and we got a dog all in 8 days. Why so fast? Well, why not? We stayed in paradise because, well, it was paradise. We left paradise because, well, there are lots of places we can call paradise. And we got married because we want to be able to share all of those moments in all of those pieces of paradise together. So, first of all, my apologies for not replying to emails recently. I was offline for good reason and I’m still digging out of my inbox. If you’re still waiting to hear from me, I’m sorry, and someone please help me hire a personal assistant? Secondly, check out some fun photos from Carolyn Henry Photography, who went to school with my Irish-Colombian and happened to bump into him only a week before our wedding. She ever so graciously joined our small ceremony and captured these beautiful moments for us. Huge thank you to Carolyn Henry Photography for these wonderful photos! 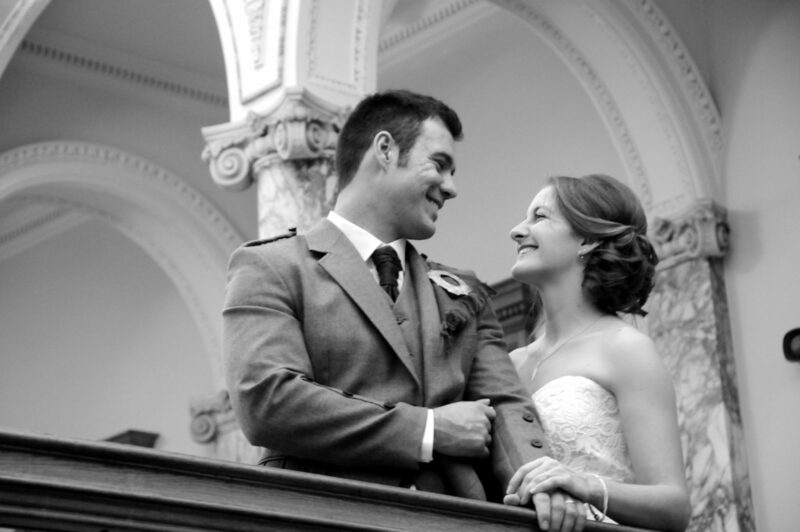 She’s a fantastic local Edinburgh wedding photographer, we highly recommend her. I’m getting back on track writing lots of new content for here and beyond. Most of my attention has been on my clients since we’ve been so busy. Now that we’ve done all these huge things, I’ve got a bit more time on my hands to focus on my own little slice of the internet. I have a few big projects I’m working on, plus some exciting new articles to share. Stay tuned!